parliament, was moved there. It sits on the eastern coast, is the main port of the island and boasts a stunning Victorian Promenade along the water’s edge. 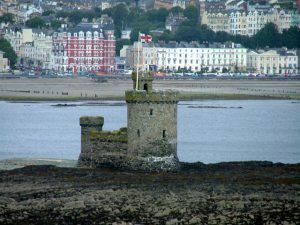 In the waters of the bay sits the Tower of Refuge, a castle-like structure built on Conister Rock to provided shelter for shipwrecked sailors. Ride on a horse-drawn tram along the beautiful promenade, enjoy some local seafood specialties at one of the many cafes along the Loch Promenade, do some shopping on Strand Street. Items you might consider purchasing would be TT race souvenir items, the famous Manx Kippers or Fairy Dolls. exciting, yet dangerous racing events on the planet. 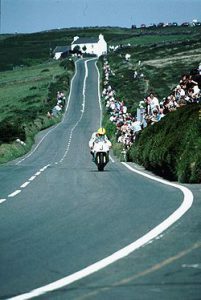 Taking place in May or June each year since 1907, it is a motorcycle race along the 37&3/4 mile Snaefell mountain course. Controversial due to over 248 fatalities, the participants race at speeds up to 130 miles per hour on the mountainous course. 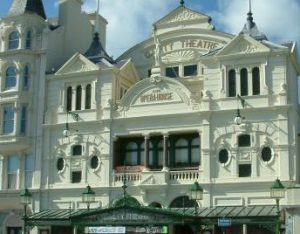 The Gaiety Theatre has been presenting shows, musicals, plays and concerts since 1900. Tours are available to visit this historic stage. One of it’s interesting features is the ‘Corsican Trap’, or Ghost Glide, which is a device constructed with small platforms and tracks that are able to give the illusion of a dead man ascending into the air. It is the only one of it’s kind remaining in the world and was reconstructed for the centennial celebration of the theatre in 2000. On a similar note, seat B14 is said to be haunted by a lady ghost. The original site of the over 1,000 year old Tynwald, or parliament is located in the open air at St. John’s. 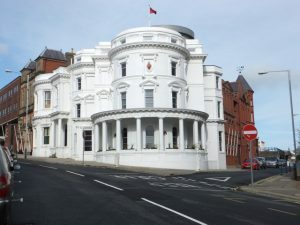 The Tynwald still meets there once a year. 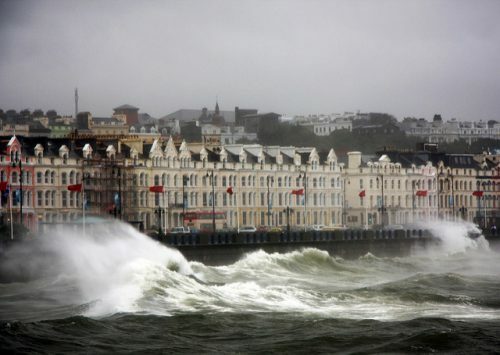 The rest of the time, it is housed in Douglas in a building that is fondly referred to as the ‘Wedding Cake Building’. 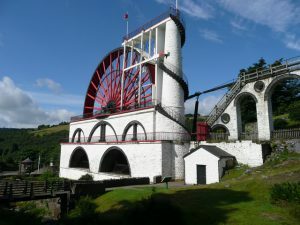 Laxey, one can access the Snaefell, Isle of Man’s highest point where one can see the 7 kingdoms: Man, Scotland, Ireland, Wales, England, heaven and the sea if, of course, the island is not enshrouded in mist.